Posted on Monday, March 19th, 2012, by Brenda Pottinger under featured. 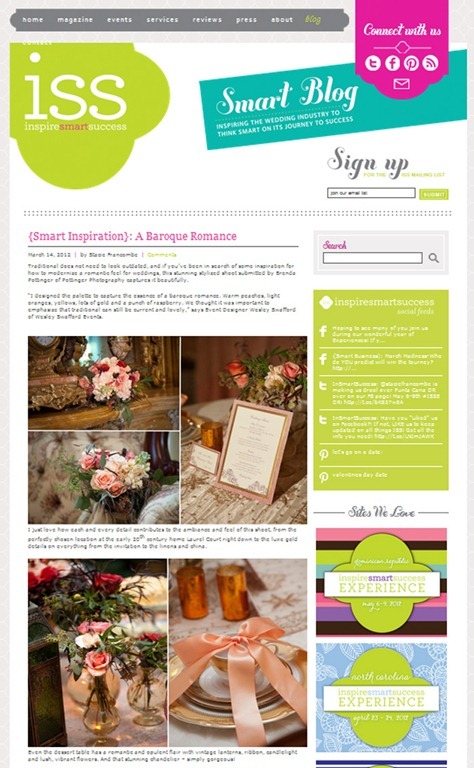 We are so excited to be featured on the Inspire Smart Success blog! 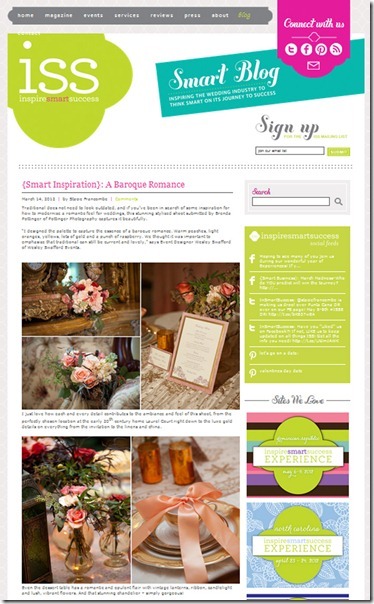 We love this national blog because it offers such great business insight to wedding vendors and small businesses. We have been featured on their blog in the past and we are so excited they featured our recent photo shoots at Laurel Court. A special thanks goes to all of the talented vendors who made my job easy because I was so inspired by their designs! Be sure to check out our feature on their blog!